While the world may have forgotten about it, but a 17 years old archivist, Karen Nelson, made a cosmic discovery while tidying up a storage space at the Lawrence Berkeley National Laboratory recently. 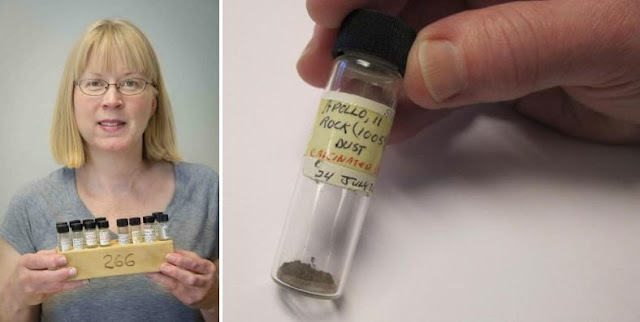 The discovery of twently forgetten vials was pheneomenal as these contined the moon dust collected by Neil Armstrong, the first man who landed on the monn, some four decade ago in 1969. The vials "were vacuum sealed in a glass jar," Karen Nelson told Chao. "We don't know how or when they ended up in storage."